National Security Agency whistleblower Edward Snowden did not take any secret files with him to Russia, according to the New York Times. The paper reportedly conducted a wide-ranging interview with him through "encrypted online communications." Snowden said he left the files in the care of journalists he met with in Hong Kong, "because it wouldn’t serve the public interest" to have them with him. "There’s a zero percent chance the Russians or Chinese have received any documents," he said, apparently to counter the fears of American intelligence officials who worry that the documents may have gotten into the hands of other governments. He said that he hadn't previously disclosed this information to avoid exposing the journalists he had worked with — particularly Glenn Greenwald and Laura Poitras — to greater scrutiny. The Obama administration has said Snowden will be tried under the Espionage Act for giving secret NSA documents to journalists, and exposing the agency's large-scale secret surveillance programs. He, however, has long maintained that he is a patriot who disclosed the programs in a responsible manner to responsible journalists. "The secret continuance of these programs represents a far greater danger than their disclosure," he said. "So long as there’s broad support amongst a people, it can be argued there’s a level of legitimacy even to the most invasive and morally wrong program, as it was an informed and willing decision," Snowden told the New York Times. "However, programs that are implemented in secret, out of public oversight, lack that legitimacy, and that’s a problem. It also represents a dangerous normalization of 'governing in the dark,' where decisions with enormous public impact occur without any public input." The interview also touched briefly on Snowden's life in Moscow, Russia. 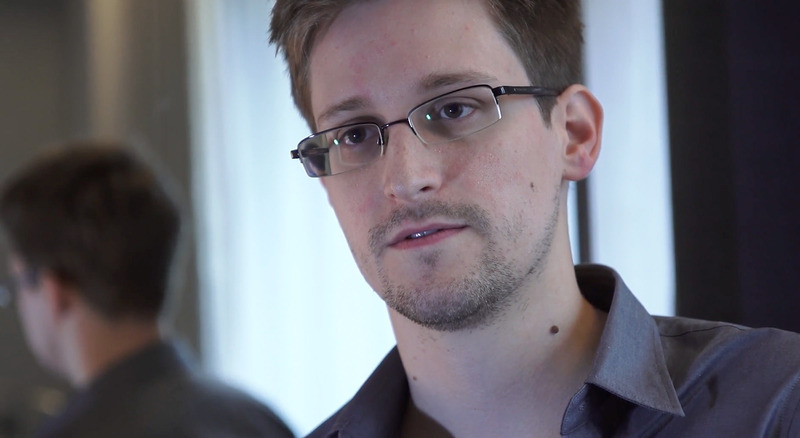 Snowden said he was fairly free to do as he pleases in Russia, and that the Russian government is not controlling him. Greenwald was a national security blogger for the Guardian, a British newspaper, at the time the Snowden revelations broke. A resident of Rio de Janeiro, Brazil, he has also refused to hand NSA files over to the Brazilian government. On Thursday, it was reported that Greenwald, Poitras, and the Nation's national security correspondent, Jeremy Scahill, will be part of the team for a new, yet-to-be-named publication.